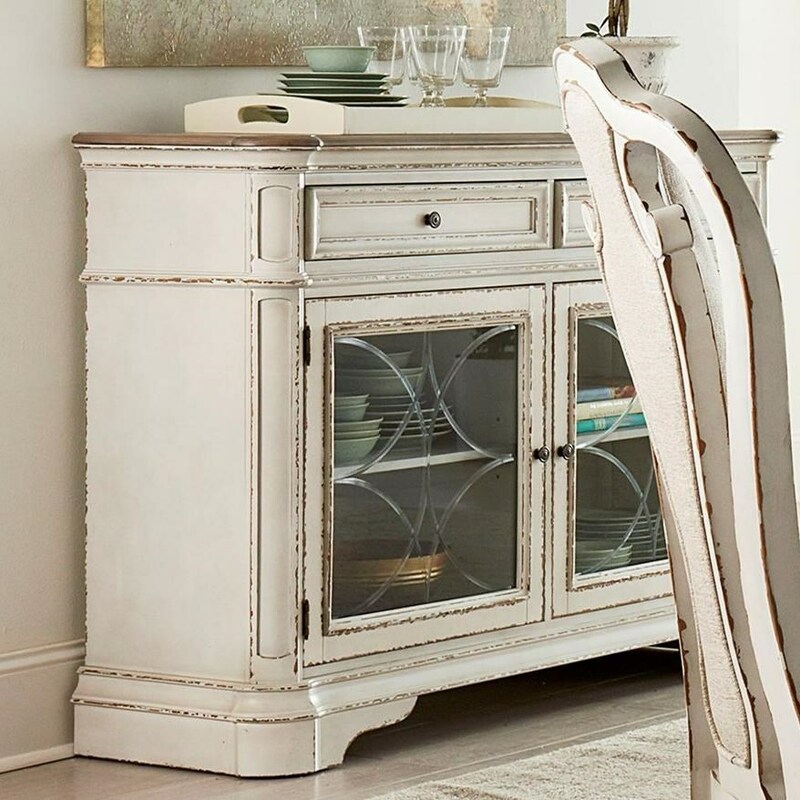 With two drawers and two doors, this buffet will be a stylish and functional addition to any dining room. The buffet has charming glass doors and ornate trim and pilaster details. The Stevenson Manor Traditional Buffet with Glass Doors by Standard Furniture at Miskelly Furniture in the Jackson, Pearl, Madison, Ridgeland, Flowood Mississippi area. Product availability may vary. Contact us for the most current availability on this product. This collection has charming relaxed vintage details such as a distressed light finish, ornate molding, and beveled drawer fronts. Outfit either your bedroom, dining room, or living room with this elegant collection with pieces for any room. The Stevenson Manor collection is a great option if you are looking for Relaxed Vintage furniture in the Jackson, Pearl, Madison, Ridgeland, Flowood Mississippi area. Browse other items in the Stevenson Manor collection from Miskelly Furniture in the Jackson, Pearl, Madison, Ridgeland, Flowood Mississippi area.